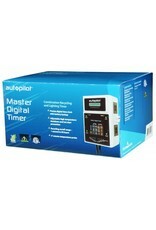 The Autopilot Master Digital Timer (MDT) controls lighting and timed recycling functions in your grow area. 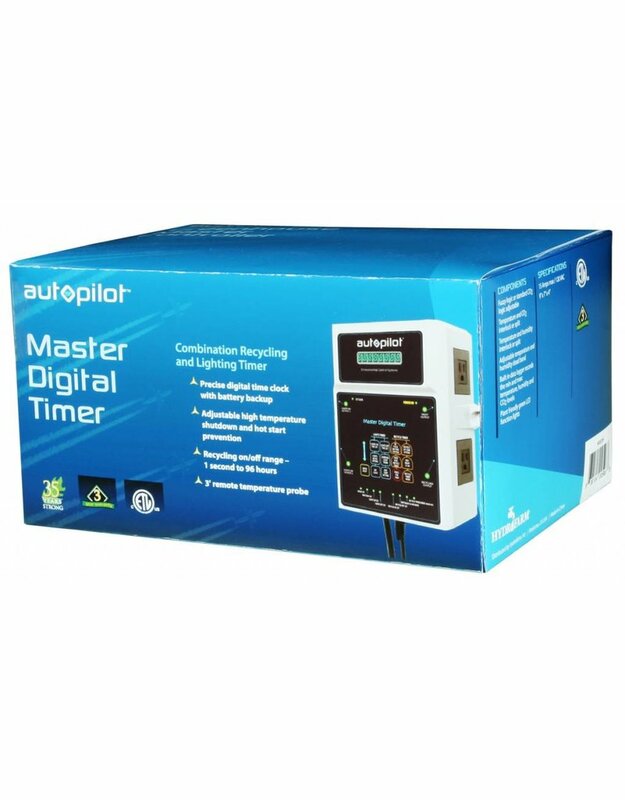 The MDT has simultaneous dual timer functions, a 24 hour time clock for lighting and a precise cycle timer for pumps, CO2 injection, exhaust, intake, etc. The MDT has four outlets. One outlet controls a pump or other recycling device; two outlets control daytime devices such as lights and light movers; and one outlet controls a nighttime device such as a heater, dehumidifier, or exhaust fan. The MDT features a "high temperature shutdown" function that detects unsafe high temperatures in the grow room and turns off the HID lights in the event of a ventilation failure. The MDT also features hot start protection to ensure proper lamp cooling before attempting to re-fire.